Is the safety profession uniquely incapable of renewing itself? For a profession that is organized around the elimination, reduction and control of risk, innovation can be a tall order. Innovation means taking risk. It requires a critique and a questioning of assumptions that underly our practices. Such a critique, such questioning, can be unwelcome. These are assumptions and practices, after all, that (many believe) have got us to where we are today, that keep many of us in business. Innovation is risky. It entails reputational risk, psychological risk, financial risk, practical risk even. Safety innovation, then, is not just an oxymoron. It could be what philosophers call a performative fallacy. By stating itself, it denies the very possibility of what it states. Safety and innovation do not work together, because innovation is per definition unsafe. Or at least it is seen as unsafe by all kinds of stakeholders. Fear of innovation, of thinking and acting differently, has dogged humanity forever. Yet humanity has always found ways to conquer that fear. The European Enlightenment is an example of a wholesale shift in intellectual thinking, lifting up the power and freedom of human reasoning over hand-me-down truths from Church or Crown. 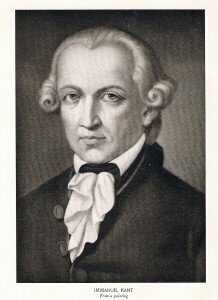 Immanual Kant, one of the great Enlightenment thinkers, argued that Enlightenment was our release from self-incurred tutelage. Tutelage is the incapacity to use our own understanding without the guidance of someone else or some institution. Tutelage is the ultimate run for intellectual cover, as one of my students Shawn Pruchnicki calls it. Tutelage means relinquishing your own brainpower and conform so as to keep the peace, keep a job. But you also help keep bad ideas in place, keep dying strategies alive. 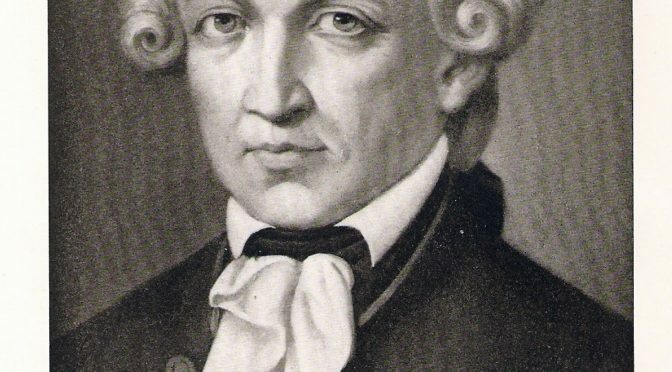 Crucially, Kant blamed not a lack of intellect for us submitting to such tutelage. He blamed a lack of determination; a lack of courage. His rallying cry for the Enlightenment became Sapere Aude, or “Dare to Think!” Innovation depends on such courage. It depends on the freedom from constraint, on freedom from the shackles of a current paradigm. It depends on a relentless curiosity, on an impatience or dissatisfaction even with what other people want us to know or do. We are caught in a paradigm that has us confirm to each other what we think we already know. This is how we train and educate vast cadres of new safety professionals. But innovation means thinking differently from what we think, from how we think. It means, as Michel Foucault once said, straying far afield of ourselves, seeing differently from how we see. It means becoming free from ourselves. Dare to think! But can safety professionals do that? There is, perhaps, something indelibly conservative about the safety profession—it is a field characterized by a dogma of risk adversity, by an inclination to preserve that which we know (or hope or pray) still works for us. Daring to think could mean playing with fire. It could mean biting the hand that feeds us. Perhaps taking risk is precisely what we do not want to do. Or is it? Please help prove that we can dare to think, and change, too. An interesting perspective indeed Sidney, that couldn’t be further from the truth. It’s all about the ‘language’ as David Borys has explained to us as students on many occasions. Language is common (or is it) used to interpret the views on safety, well at least to those that take an interest, usually safety professionals. Therefore, is it only common for those in the profession and not to those ‘functionalists’ that also need to believe or understand its importance. They also need to be willing to break away from the ‘norm’ and think differently themselves on the decisions that have power over to influence the language and commonality of safety itself. Remember the days of the introduction of a hard hat and safety vests as mandatory PPE on construction sites? This became the ‘norm’ just by actors purely accepting it would possibly be safer, not to mention the fact of another constricting rule being born. This is to implement. Visually its ‘bang for buck’ as something that is easily recognised and gauged when actors are following the rule. ‘Engineering a culture’ (Reason & Hollnagel) is somewhat a little more difficult and challenging to say the least in making the characteristics on ‘what makes a good one’ more transparent in the language that is commonly used. In my view this can only occur if more members and actors understand the principle of ‘thinking differently’ the challenging the ‘norm’ without being seen to be derailing the organisational values or beliefs in doing so… ‘rocking the boat theory’ which I agree can be very influential if it’s done properly on a professional level. This also needs a degree of credibility. Something many people in the professional are not sure how to begin approaching, on the flip side this would be made a lot easier if the ‘language’ was known to all. This like anything else will take a little more time and largely a lot more effort than implementing something so low on the hierarchy. Ben, the language of ‘engineering’ a culture (or engineering resilience for that matter) is nonsensical language and completely misunderstands the nature of culture as a semiosphere or ‘collective unconscious’. Yes David Borys is right about semantics but it is much more than that including, the ‘grammar’ of organising, semiotics and semiosis. When one looks at the language and discourse of safety I don’t hold out much hope for transformation, because it is plagued with culturalism (cultural myopia) in such a narrow ideology. In this way Safety enculturates itself in an ongoing mythology (symbolism) anchored in its own compliance and risk aversion discourse. This includes its profound lack in understanding justice, ethics and its own social politic. Even the discourse of ‘safety professional’ is part of the language problem. and now, it is so deeply entrenched in behaviourism, empiricism and cognitvism it neither knows what it believes nor has the capacity for self criticism. This partly serves as a warning too for the ‘new view of safety’ and and the way its language has evolved and how it understands itself. 5. They inhibit innovation. The classic example of this is ERIC (elimination of risk in construction) which is being advocated by some of the H&S profession in the UK. To innovate is to take steps into the unknown and involves uncertainty and is a risk. Yet the preliminary studies (again not yet in the public domain) suggest that innovative design and project management are associated with lower injury rates. Be it something as small as angled hot tapping into live lines, or reconfiguring high tension underground cables with the cables still in service or as large as an entire chemical plant built in 18 days, our H&S professionals did not have a clue as to what innovation in engineering construction was about. 6. H&S professionals world-wide glibly talk about organizations ‘beliefs and values’ but most do not have the qualitative or quantitative skills to teach or research them. On the other hand 40 years in project development, engineering construction management and latterly research may have made me a miserable old cynic about the capacity of H&S professionals to think differently. Thank you to my safety heroes at Safety Differently for inspiring those of us in the field everyday trying to make a difference! You have certainly built on the post – great article and links to other “learnings” that I will be following to increase my own knowledge. I got a good laugh from the picture of “little Johnny” – Heinrich continues to be misquoted and porly applied by safety professionals. Surely safety is not exempt. In its current incarnation safety is so ineffective its ver relevance is now questioned openly. Innovation is possible, as evidenced by the Woolworth’s experiment. We might have a few more hoops to jump through but if we followed in the footsteps of other human-centred practitioners in other disciplines such as medicine, who surely have as much at stake, I can see no excuses. I believe it is innovate or die (no pun intended).